Perhaps your school year has already wound down or maybe you’re just about there. Here’s a brief post to share an artist with whom you may already be familiar — and if not, I think you are in for a treat because I believe he is one of the most dynamic multi-media presences of the past few years: Stromae. He is first and foremost a musical artist, but the place of visual expression in his output is key to his message and to his success, like many performers today. I recommend these videos because of their extremely high degree of thematic force and visual impact. There is a total command of motion picture language throughout the work he creates with his collaborators, from the animation of Carmen (by Triplettes de Belleville director Sylvain Chomet) to the art direction of Papaoutai to the cinéma vérité tour-de-force of Formidable (with a song that is profoundly reminiscent of Belgian icon Jacques Brel, who was also a multi-media giant) to Tous les Mêmes, which brings most of thèse qualities together in its eye-popping, thought-provoking glory. 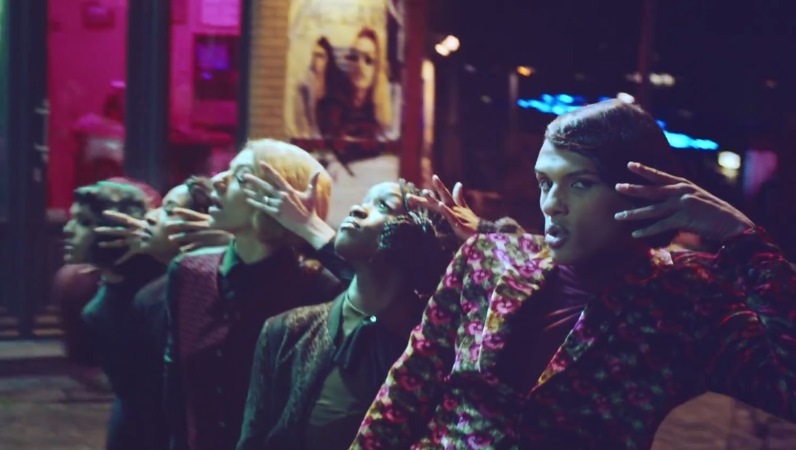 And like many artists today, Stromae needs to be pretty good at self-deprecation, which is quite apparent in his very funny (for those who understand French) video alongside French comic Jamel demonstrating the mock creation of his first mega-hit Alors on Danse. And the original video to that one too — Alors on Danse — is stunningly original, particularly alongside standard music videos, rap or otherwise.